the rest of the event. 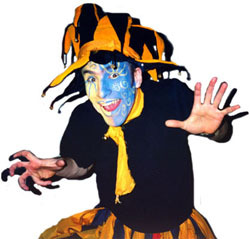 As part of a teamwork seminar, as an ice breaker for your event, to entertain children, or to have as a regular program at your school, Mini Cirque offers a traveling circus school, complete with props and costumes where participants of all ages have the opportunity to fulfill a common fantasy: run away with the circus! 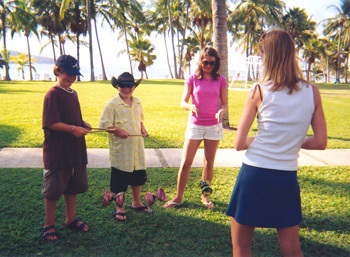 Sophie teaching a diabolo workshop at Club Med in Mexico. What could Mini Cirque offer your event? Mini Cirque workshops for adults can be an asset to teambuilding seminars and training sessions. You want Mini Cirque workshops at your event? Book a Mini Cirque workshop today! To see where "Mini Cirque for events" workshops have been (or will be) held, please visit the Where we've been page.